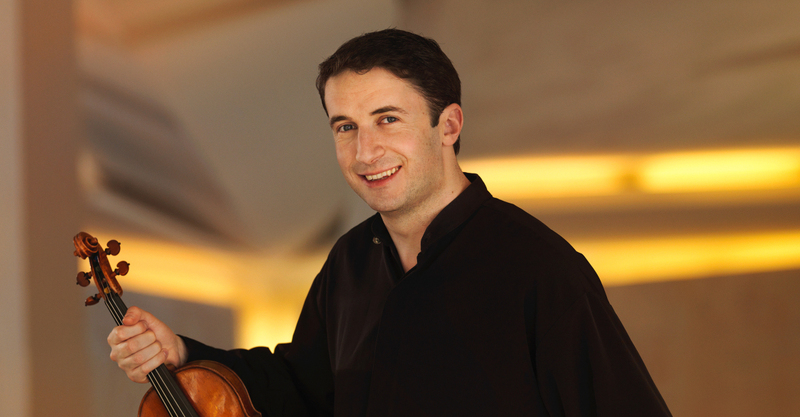 The 2018 Summer Festival marks the third summer that Noah Bendix-Balgley, 1st concertmaster of the Berliner Philharmoniker, joins SCMS. He chats with us about the Brahms Violin Sonata, Op. 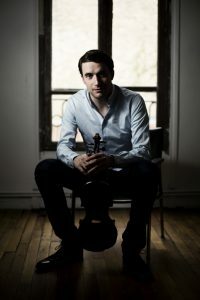 78 he plays on Monday, July 16, as well as the free Pre-Concert Recital featuring several works that focus on the Russian-Jewish folk music of Joseph Achron, Alexander Krein, and Joel Engel prior to July 20 concert. What is your experience with this, the first, of Brahms’ Violin Sonatas? NBB: This is the first of the Brahms Sonatas that I learned as a student and performed. I absolutely love this piece, but find it is very challenging to play, even though the technical demands of the piece are not that evident on the surface. The melodic lines weave in and out between the violin and piano, and Brahms is constantly developing his musical motives, especially the dotted rhythm figure which appears in all three movements and ties the work together. This Sonata has a special character and color. It is so full of warmth and love. For me, no other composer expresses tenderness and love in the way that Brahms does. Alongside contentment though, there is an undercurrent of agitation in this sonata. This is particularly evident in the development sections of the 1st movement and in the last movement, in which running 16th notes accompany the melodic material almost continually throughout the movement. Finding this mixture of contentment and agitation, of happiness and melancholy is an elusive task for the interpreters. You are a big advocate for Russian-Jewish folk music and Klezmer music. How did you develop such a passion for that, and what will we hear at your recital on July 20? NBB: My connection to klezmer and Jewish music comes from my childhood. My father is a dance teacher who specializes in Eastern European folk dancing, including the Yiddish dance tradition. I grew up listening to klezmer music, and started learning it from klezmer musicians who played at the workshops and festivals where my father was teaching. I found klezmer music was a wonderful contrast to the classical repertoire I was learning. In the classical repertoire, I was learning to play with precision, perfection and exact adherence to what the composer specified in the score. With klezmer, I learned traditional tunes, and then could improvise and ornament them differently, creating my own version in the moment. It is a wonderful way for me to let down my hair musically speaking. In more recent years I have looked for ways to bring these two worlds together. I wanted to find classical compositions that were based on traditional Jewish music. I discovered the music of the St. Petersburg Society for Jewish Folk Music, and a group of Russian-Jewish composers in the early 20th century who used traditional Jewish melodies as a basis for classical compositions. The works I perform at this recital are some of my favorites from these composers. I start with three works by Joseph Achron, who was an excellent violinist and an under-appreciated composer. His Hebrew Melody gained popularity when it was championed by Jascha Heifetz, and is the best known work from the St. Petersburg Society. Alexander Krein was active in Moscow, and his setting of Jewish themes in the Caprice Hebraique is interesting because of the richness of his harmonic language. Joel Engel was the first composer in this group who began using Jewish folk melodies as a basis for compositions, and he was active collecting and researching the folk tunes of Russian Jews already at the end of the 19th century. Can you tell us why coming to Seattle and playing with different musicians every night is valuable for you as a performer? NBB: I particularly look forward each year to coming to Seattle in the summer for the Festival. I know many of the other musicians quite well at this point- friends who I have met and played with over the years. I always look forward to reconnecting with the musicians I know, as well as meeting new people. The atmosphere at the festival in Seattle is just perfect. The right blend of serious preparation and joy in performance. The support from the community (audiences and hosts) is great and makes our experience as performers here wonderful.